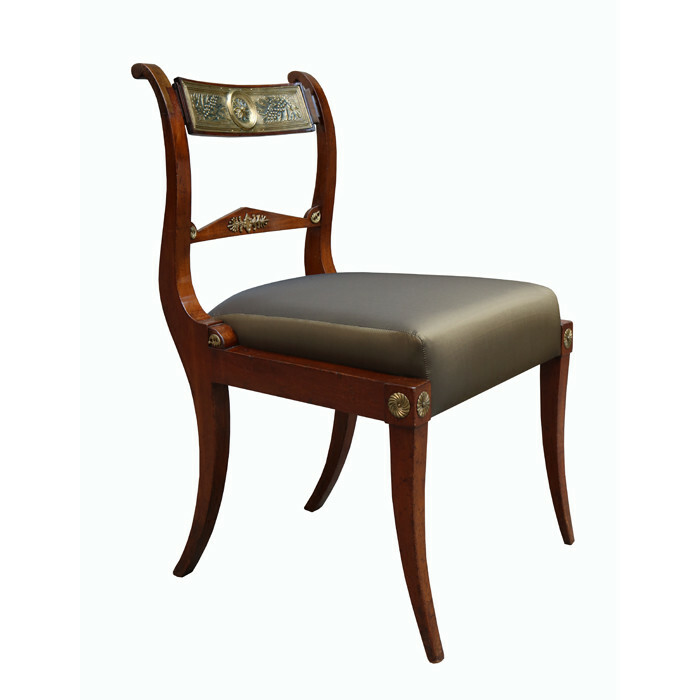 A fine pair of Neoclassical side chairs. Mahogany with patinated brass details. Dimensions: H:31¾ W:20 D:21 Seat H:19 Inches.